Armenia is rich today thanks to its vibrant Diaspora, which has raised the country's image to international heights, the Secretary-General of the Organisation internationale de la Francophonie (OIF) said in her speech in Yerevan. Greeting the participants of the Organization's 17th Summit, Michaëlle Jean also shared the Francophone countries’ high feeling of pride “to be hosted in the ancestral fatherland of Charles Aznavour”. “Charles Aznavour was that kind of Armenian. 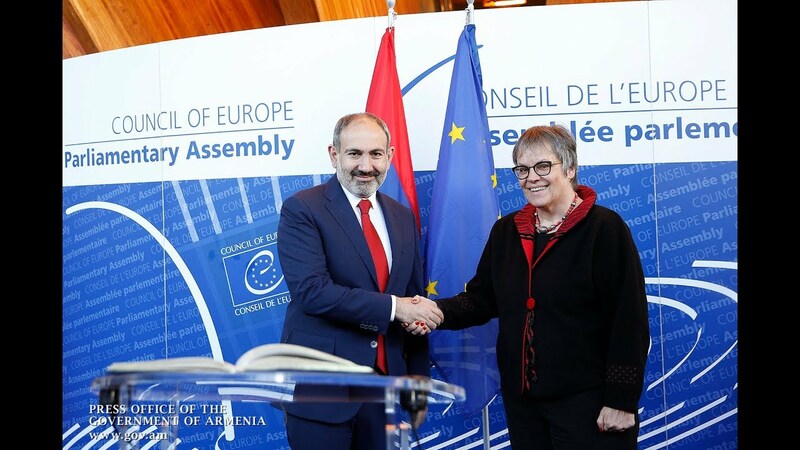 Hence, Mr Prime Minister, the world, the entire Francophone world, is in Armenia today, and it is the biggest honor for us to be hosted here,” she said, addressing Prime Minister Nikol Pashinyan. Ms Jean said their presence in the country also makes them to hold a "remembrance ceremony" in a way and maintain the feeling of sobriety. Addressing the mission and vision of OIF, she admitted that the organization has not always been equal to all its tasks and challenges. Ms Jean also agreed that the Francophonie was founded on colonial principles “to secure rebirth for each and every member”. “French became our language; it conveyed to us a kind of humanitarian power, enabling us to transfer the diversity of our cultures – and at the same time the mutual respect – to resist today’s challenges,” she added. Describing the Francophonie as a political category, Ms Jean also emphasized the their role in assisting member states in strengthening and disseminating democracy, and neutralizing confrontations. “We have been able to not only resist challenges but also generate new values,” she said, questioning the presence of enough will to push ahead with the fundamental ideas proclaimed by the organization. Concluding her address, Ms Jean spoke again about Armenia. “This Armenian land, the bearer of hope and memory, may be the symbol of youth and hope; all depends on you now,” she added.